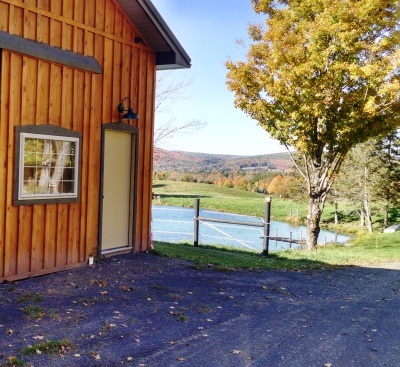 The barn features two units, A and B, that each have one queen size bedroom, one bathroom and a fully equipped kitchen with dining and living spaces. 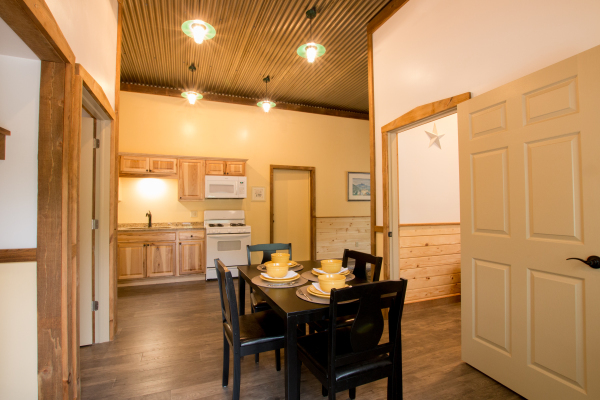 Unit A has a handicap accessible shower and a pull out sleeper sofa in the living room. 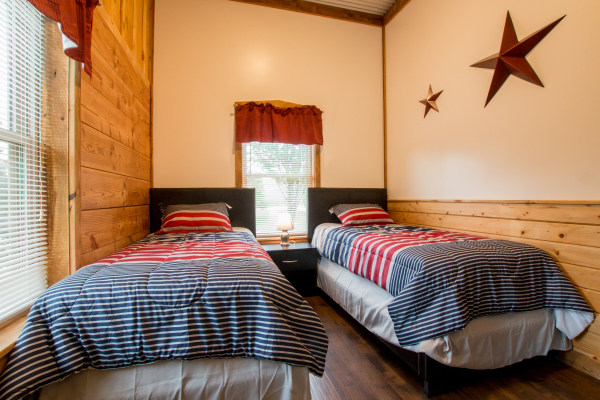 Both units have a second bedroom with two twin beds. You can rent both sides to sleep up to eight, with an adjoining door. 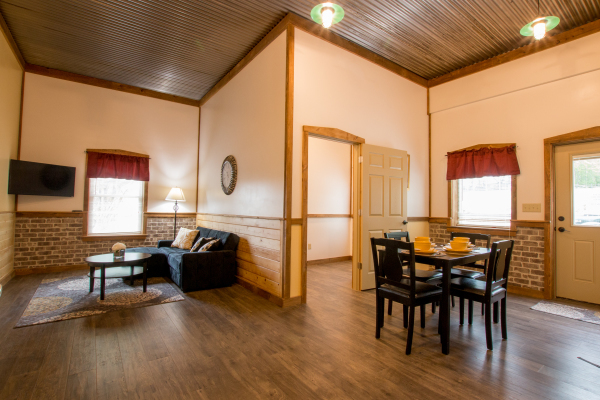 Both units offer a stunning view of the beautiful upstate New York scenery, while offering the convenience of being minutes from the I-88 corridor with hundreds of restaurants and attractions. 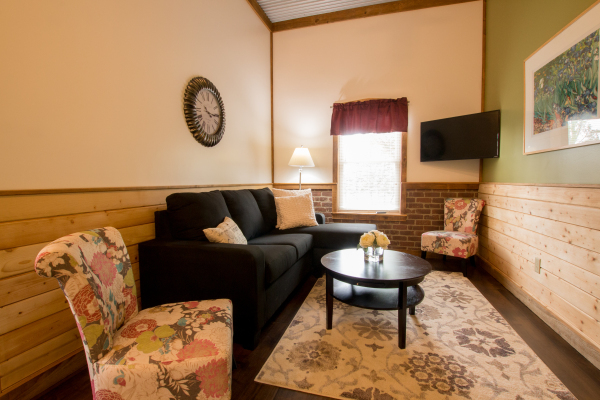 Each unit has a second bedroom with two twin beds and unit "A" has a pull out sleeper sofa in the living room. 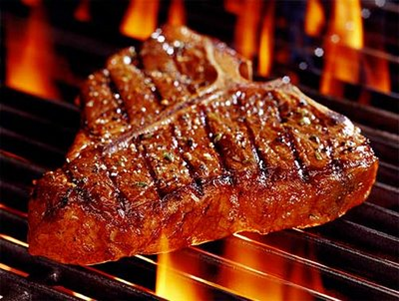 We grow our own beef animals on site and you can benefit by ordering steaks and burgers for grilling on charcoal grills on the terrace. Fresh eggs are also available. Each terrace has seating and a charcoal grill. There are two fire pits overlooking the pond and the valley below. Firewood is offered for bon fires at a minimal charge. Abner's is air conditioned for the hot summer days, and heat is available if the nights get chilly. 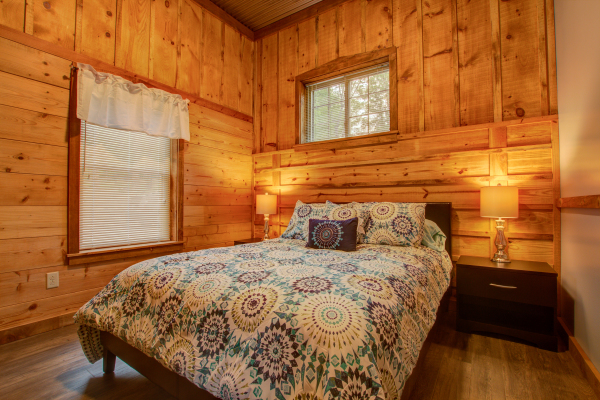 Each unit has a queen sized bedroom with a television, dresser and closet. Bed linens are provided. A fully equipped kitchen allows you to cook your own meals or bring back take out. A stove/oven, microwave and refrigerator/freezer are provided along with dishes and utensils. 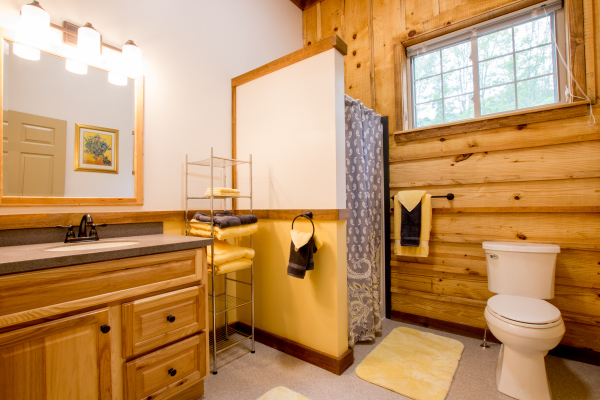 A light and bright private bathroom, with towels and rugs for your comfort. Unit A is handicapped accessible as well. Each unit features a fully furnished living area and is equipped with two smart televisions with cable service and wifi. There is a cell tower nearby, so service is good.